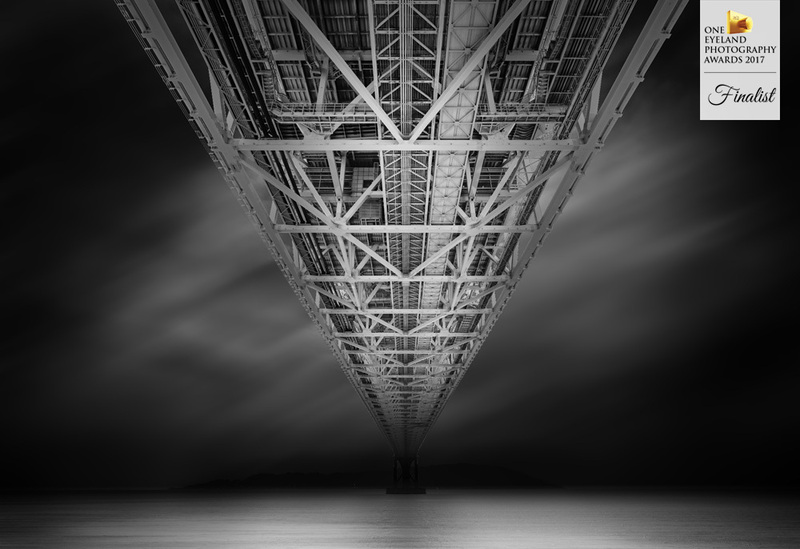 The bridge in this photography is called Akashi-Kaikyo bridge, the longest span bridge in the world, located in Japan. This is not a photography that I just want to express this bridge’s scale. When this bridge was constructing, a big earthquake happened. Although its magnitude was 7.3, this bridge was not damaged. I learned these bridge histories, then I visited this bridge. When I saw this bridge, I felt that it was not only a large-scale bridge, but also there was great force of will of engineers. I think I could feel their will because I’m also an engineer. That's why I took this photography. So, in this photography, I want to express not only the strength of bridge but also the will of engineers, in contrast with gentle ocean waves and scudding clouds.